How sosoliso plane crash survivor Kechi Okwuchi,comes alive again! Kechi has had more than 100 surgeries, including skin grafts in the US as a result of the severe burns which had all over her body. Doctors placed pins to support her hands but this didn’t stop her from reaching for greatness. 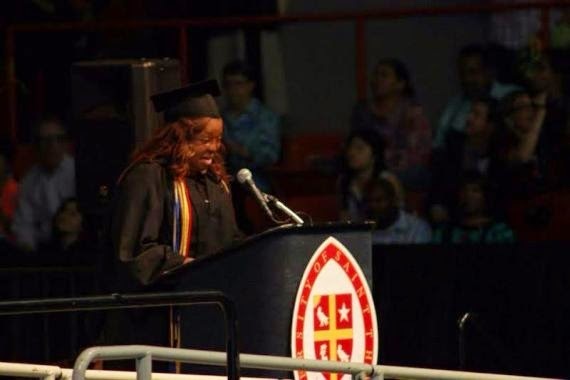 Sosoliso plane crash survivor, Kechi Okwuchi graduated with a First Class degree from University of Thomas Houston, Texas on May 16th, 2015. Not only that, she was inducted into 6 academic honor societies, was the most Outstanding student for her major in Economics and has already been accepted into graduate school for her MBA. She was also chosen to give the commencement address to the class of 2015 at her school. Kechi could not let her past shatter her dream!